I love doing research on the eclipse experience, and have so many ideas for eclipse-related projects that will keep me busy for many years! Before and after every eclipse, I will be looking for research participants. If you are wanting to take part in future projects, then make sure to sign up to the newsletter, and follow me on social media. You will note that my research activities over the past year have been directly impacted by the huge time demands of obtaining approval to work in the US, in addition to managing the delays in visa processing. This has meant that a major opportunity to capture some really interesting and practical data has been lost. Do consider supporting my research activities, especially those aimed to capture experiences after the eclipse, and also those that focus on learning lessons from planning. Status: Survey and interviews completed in 2011. 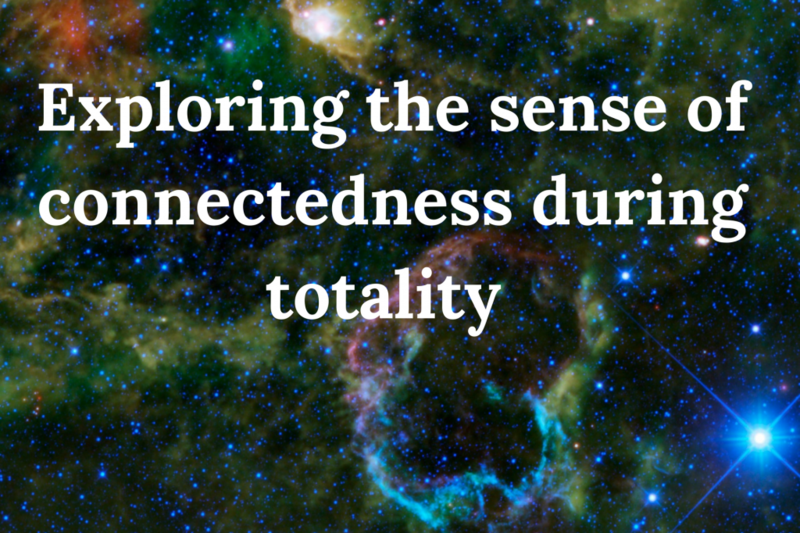 This project aimed to answer the question that everyone wants to know – what does it feel like during totality? This sounds like a simple question to answer, but it is not for many reasons. 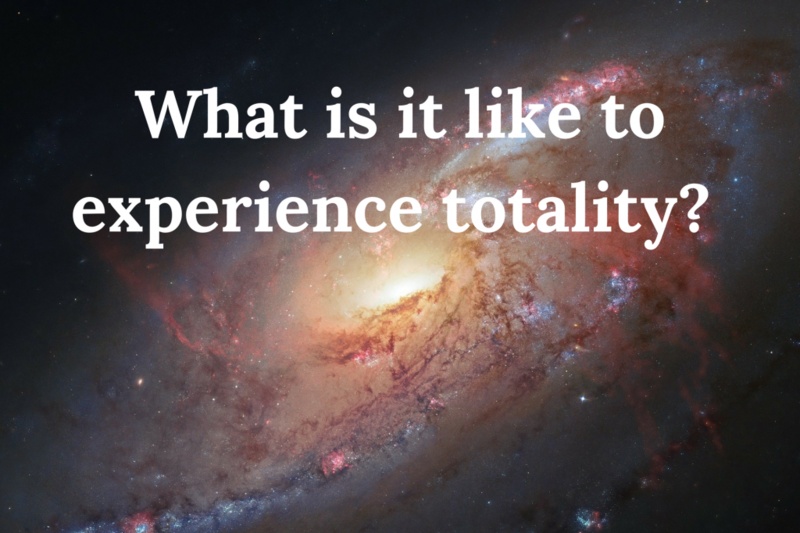 Firstly, the totality experience is often completely overwhelming, so we are not able to easily make sense of it. Secondly, there are not the words to describe what it is like. And finally, we are expected to answer this question in a neat soundbite. Impossible!! I chose to survey eclipse chasers for this project. Eclipse chasers are more likely to be able to make sense of totality by virtue of repeated experience. Using surveys allowed for a collation of common experiences to be identified, and in-depth interviews allowed full exploration of the experience. Status: Interviews completed in 2011. Dissemination: Published in 2012 Total Addiction: The Life of an Eclipse Chaser using nine case examples; presentation at many events. For some people, seeing a total solar eclipse seems to ignite a never-ending source of motivation that sees them through a lifetime. Having felt this myself, I was curious – where does that passion come from, and why is it so strong that it seems to overtake our plans and become a way of life? I was able to identify how every eclipse is different, ensuring there was novelty every time and avoiding habituation that often occurs with repeated exposure to an exciting event. 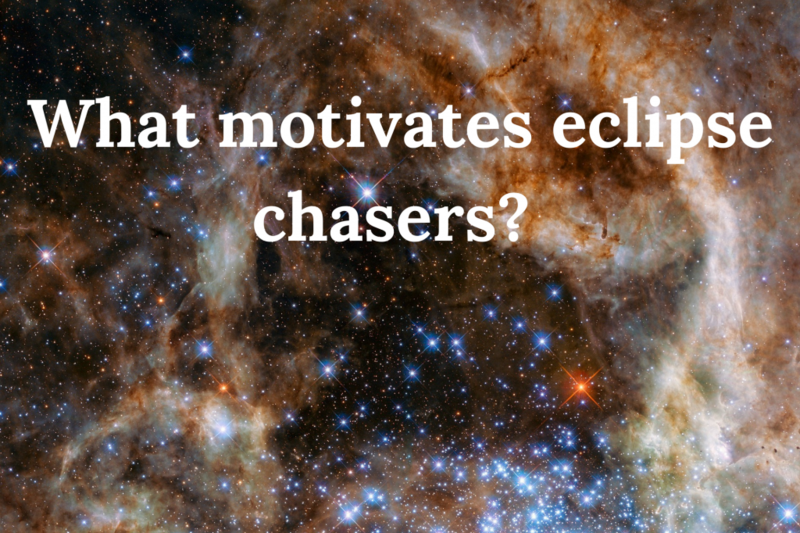 Also, most eclipse chasers were developing a sense of mastery over some aspect of their eclipse chasing or using their existing skills to help others. Psychological research has shown that these factors are strong drivers, and also contribute to a meaningful life. Status: Interviews completed in 2012, the project completed 2017. Dissemination: Publication of stories in book 2 Totality, and book 3 Being in the Shadow, plus various presentations. In 2012, I went home to Far North Queensland to research the first time eclipse experience for a number of people. I used local media to recruit local participants, who then completed a survey before and after the eclipse. This research shows that many people do not think the total eclipse will be interesting, assuming it is no different to a partial eclipse. However, afterwards, they wonder why they were not informed of how amazing it is! Shorter stories can be read in my second book Totality: the Total Solar Eclipse of 2012 in Far North Queensland. More detailed stories of six individuals who were most clearly able to describe their experiences in a rich and detailed way are published in Being in the Shadow. A detailed case study of the first time eclipse experience – “The moment I lost my mind”. Status: Interview completed 2012; case study was written up 2015. Dissemination: Abstract submitted and presentation at International Adventure Travel Conference at Sheffield Hallam University in 2015; case study also presented as part of a lecture series on board the Astor in 2015. to be published in late 2017. Following the total eclipse of 2012 in my home region, I interviewed many locals and visitors about their first-time eclipse experience. The account given by Wayne was especially detailed and powerful. 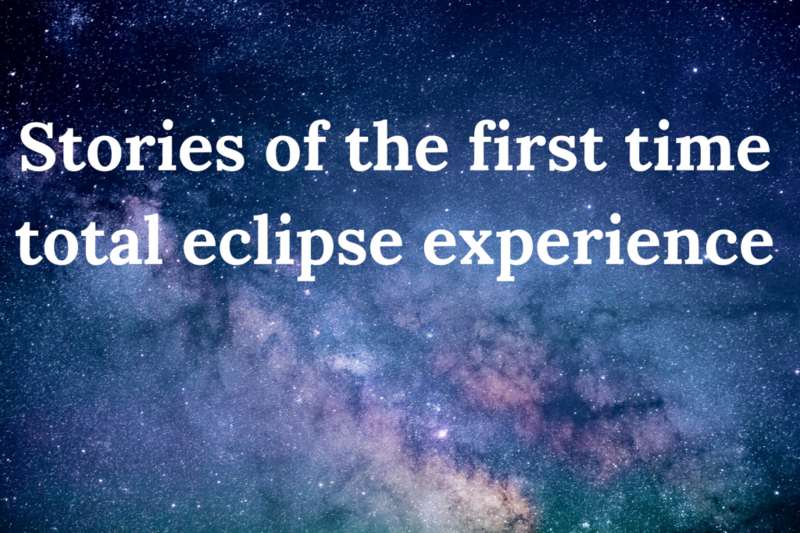 This very detailed and emotive case study is a powerful way to demonstrate how an ordinary person living in the path of totality can be impacted by their first time total eclipse experience. 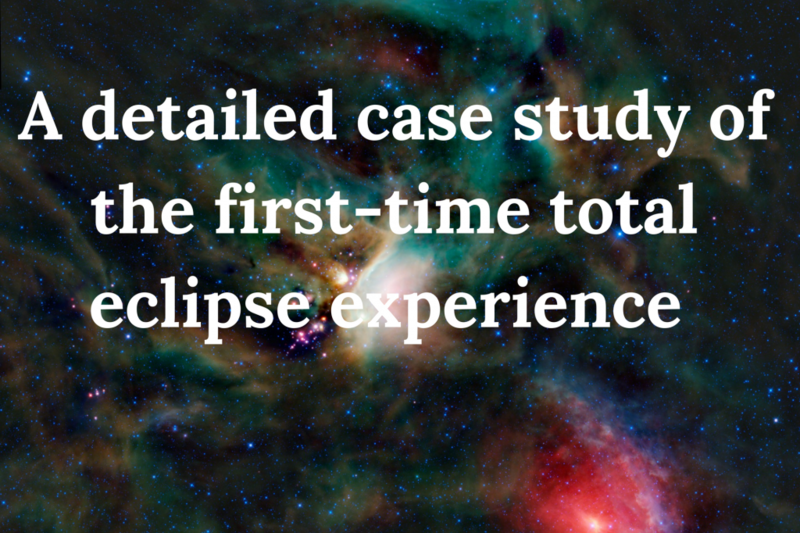 This case study explores Wayne’s expectations, the eclipse experience, and the impact that it had upon his life, using Interpretative Phenomenological Analysis to capture the key themes. 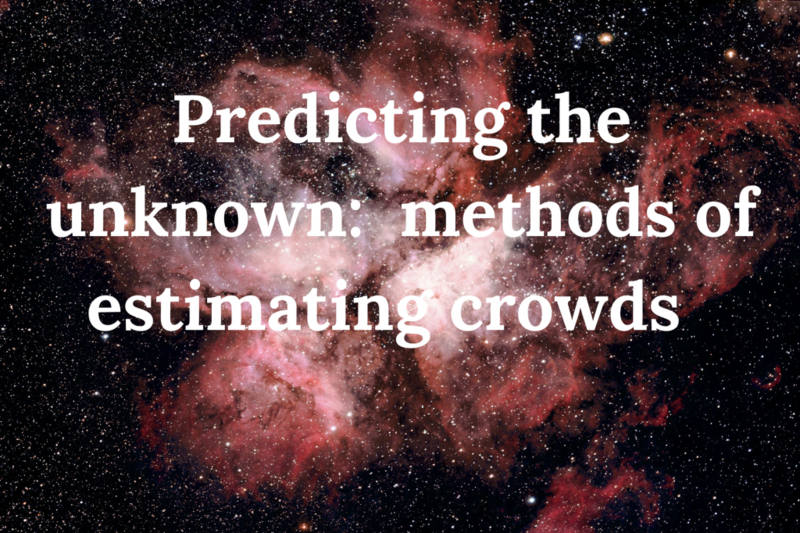 Dissemination: Published in the December 2014 edition of The Journal of the Royal Astronomical Society of Canada. One of the concerns about the 2015 total eclipse in the Faroe Islands was the unsettled weather in March. Using historical data for eclipse weather predictions was problematic, as the data was averaged across the day from only one location. 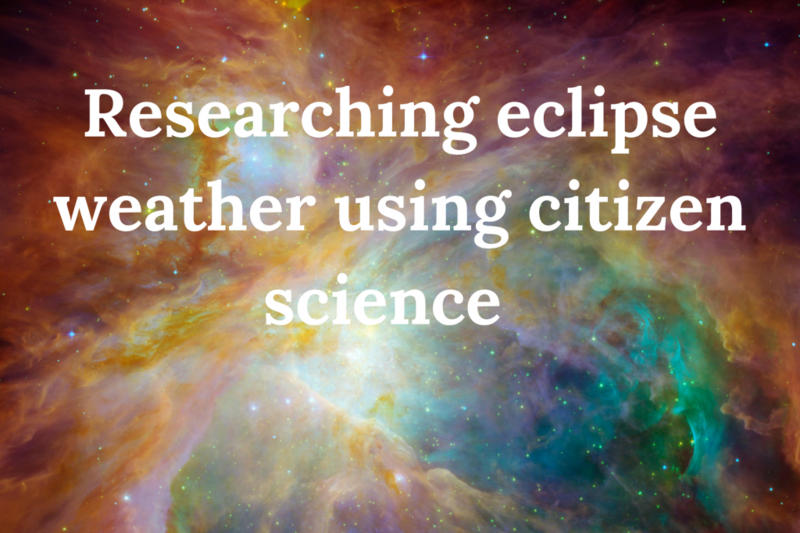 Dr Geoff Sims – a fellow eclipse chaser – led a citizen science project to capture weather data at eclipse time in March, the year before the eclipse. Citizens were asked to take photos of the Sun at the same time every day for a month. The observations were then compared to the predicted weather at each location to determine forecasting accuracy. We can explore historical climate patterns, but as the saying goes, climate is what we expect, and the weather is what we get. Status: Survey completed in early 2014. Dissemination: Results presented at the Nordic Eclipse Conference in March 2014 in the Faroe Islands. 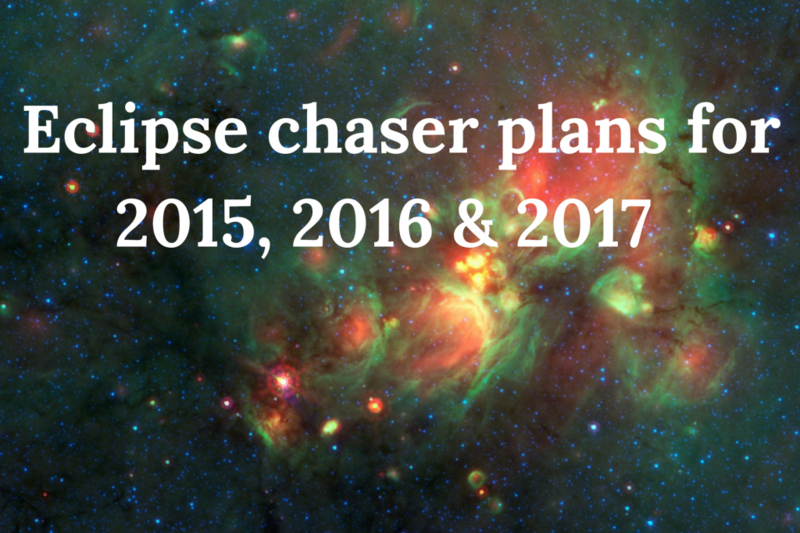 In early 2014, I undertook a brief survey of eclipse chasers to explore what their plans were for the next three total solar eclipses – 2015, 2016, and 2017. The response rate was quite low at 10%, so these results are not generalizable. For those who did respond, this survey indicated that 60% were definitely planning to travel to the 2015 total eclipse in the Arctic region; 41% to the 2016 eclipse in Indonesia, and a whopping 94% to the U.S. eclipse in 2017. The main barriers for deciding not to travel were weather and cost. Immediately after the 2016 total eclipse, I ran a post-eclipse workshop at the Sulawesi Eclipse Festival in Palu, Indonesia. In this workshop, everyone shared our personal experiences of the wonderfully clear and emotive total eclipse. There were tears, there were thanks, there was a great feeling of being at one in the world. It was pretty special. I also encouraged those who wanted to, to record individual interviews on camera to explore in more detail the feeling of connection during totality – what was that like? Who, or what, did you feel connected to? These materials will form part of a future documentary exploring the psychological response to totality. I am hoping to extend this project following the 2017 total solar eclipse, to include the experiences of Americans from across the country. Status: Survey completed in August 2016. Dissemination: Results used in ongoing consultations with eclipse coordinators for planning; also in presentations. 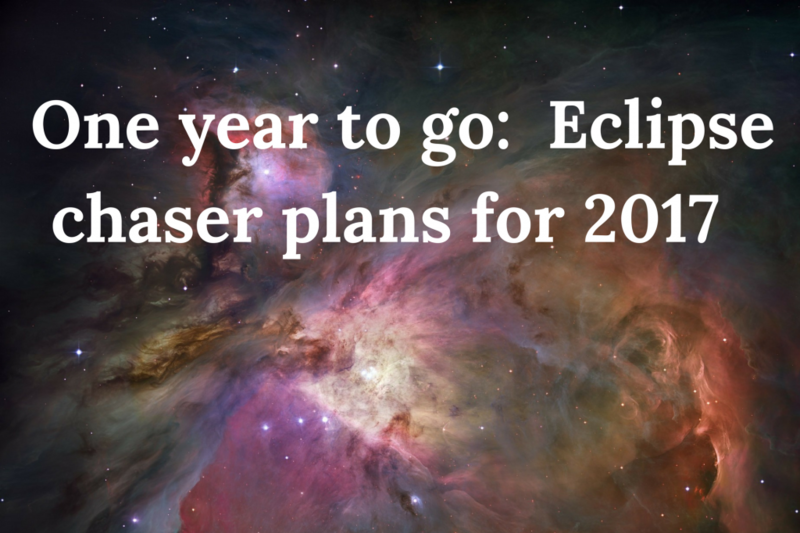 In August 2016, one year before the total eclipse, I surveyed eclipse chasers about their plans for 2017. The response rate was around 27% of the group sampled. 54% had made all their plans one year before the eclipse. 95% were selecting their viewing location based upon historical weather data. Only 3% felt going to the point of greatest duration was important. The majority of respondents – a huge 84% – were heading towards the first four states, because of more favourable weather- Oregon, Idaho, Wyoming and Nebraska. 79% felt it was important to be near the centre-line and three-quarters of those surveyed felt mobility on the day was important. The many insights from this data have been used to inform community planning. Status: Interviews completed in 2012, and 2015. 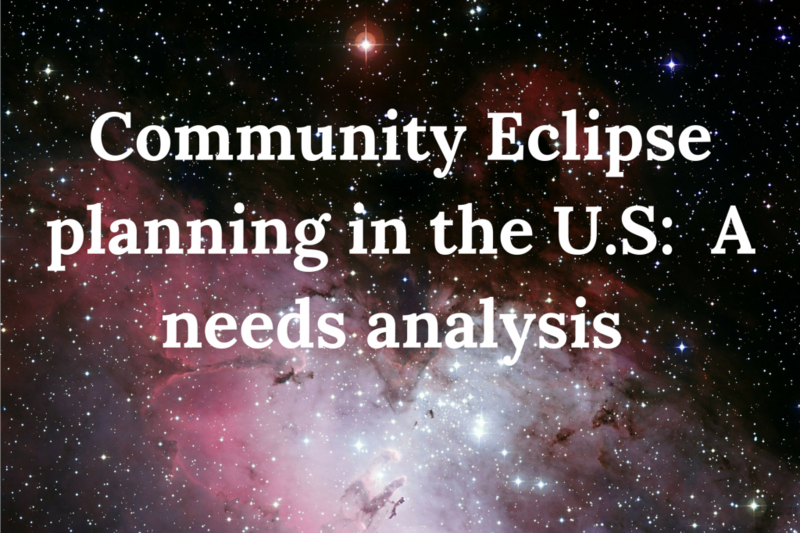 Dissemination: White Paper on Community Eclipse Planning, launched at the Portland AAS meeting 2015; disseminated to eclipse coordinators across the US in 2015, downloadable from my website. In 2012, while undertaking research interviews before the eclipse, I identified that the local community was not engaged in eclipse planning, and perceived the eclipse plans were purely for tourists coming in. I undertook community engagement activities, which addressed this gap and afterwards interviewed eclipse coordinators exploring hindsight lessons. I applied what I learned in my role as Eclipse Consultant in 2015 in the Faroe Islands, and again afterwards, engaged in interviews to identify key learning points about planning. 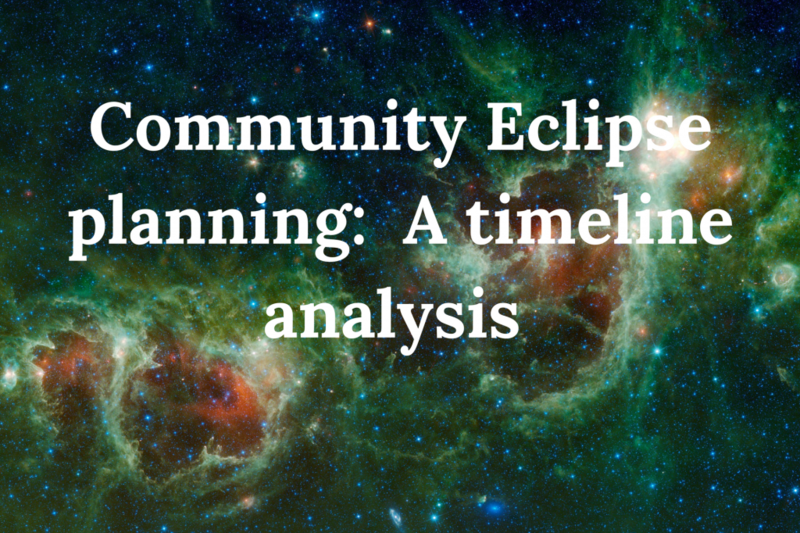 The White Paper is aimed at communities within the path and highlights the need to start planning early, and to engage stakeholders and the community to ensure the eclipse has a lasting legacy in the region. Over a thousand communities fall within the path of totality for the 2017 total eclipse. As there has not been a total eclipse in the U.S. since 1979, this is unknown territory. I had planned to undertake a detailed needs analysis of all communities within the path to identify key issues in order to develop additional planning resources. However, due to my focus being diverted to visa issues, this project was not completed. However, a smaller project was undertaken that did identify the key issues and needs, from 31 communities across 10 states. I had planned a detailed tour of the path of totality to visit these regions, delivering what was needed. Unfortunately, visa delays mean that this tour had to be cancelled and these communities did not receive any of the help or support they requested. 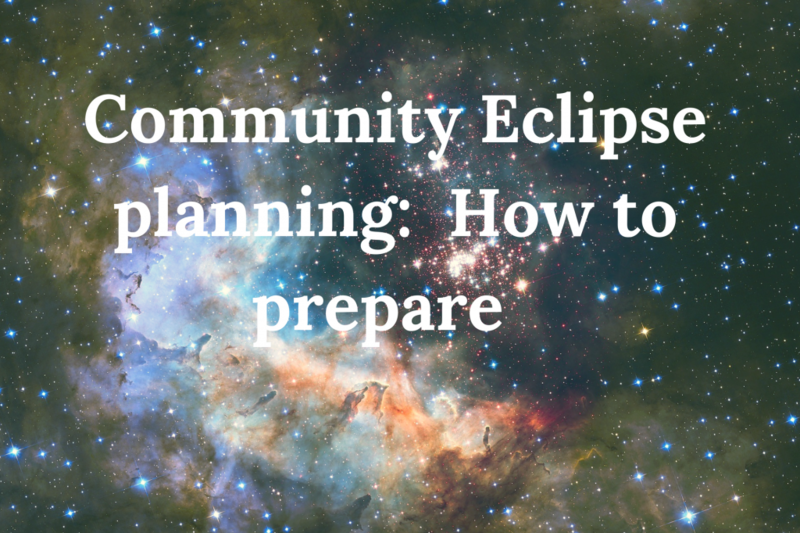 The White Paper in Community Eclipse Planning was an important guidance document for communities preparing for a total solar eclipse. However, it did not indicate a time frame for required activities. For this project, I have been undertaking interviews with eclipse coordinators at different time points in the planning process – 12 months to go, 9 months, 6 months and 3 months, and 1 month. This information will provide a useful framework for future planning, stressing the need for starting early, and highlighting key tasks at different points of time. Limited resources will limit the outcome of this project. This information will provide a useful framework for future planning, stressing the need for starting early, and highlighting key tasks at different points of time. Limited resources have compromised on the depth of this project. Status: Pre-interviews completed with a small sample of communities; post-interviews to be done following the eclipse. Interested in supporting my research? 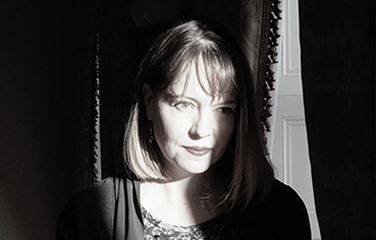 This may take the form of sponsoring a project, providing a time-limited bursary, facilitating a writing residential, or other creative ways of support that are mutually beneficial. Get in touch, or consider making a donation.